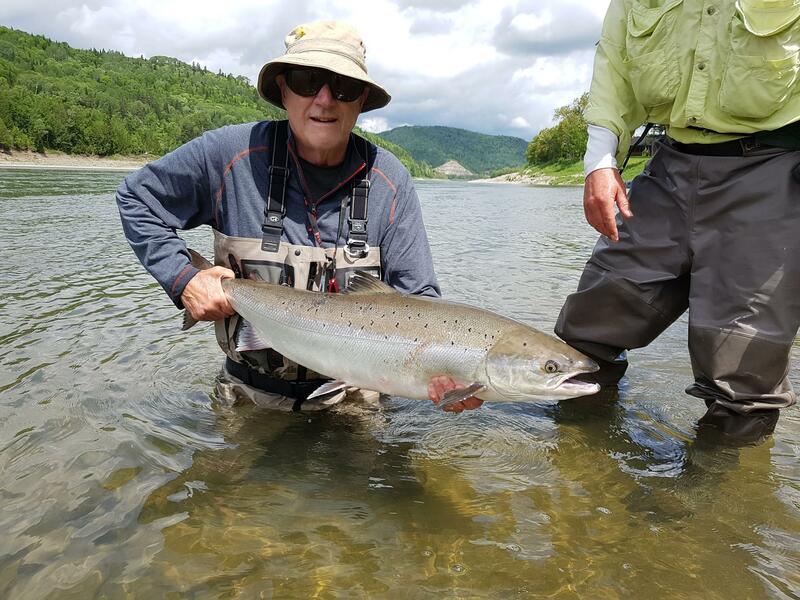 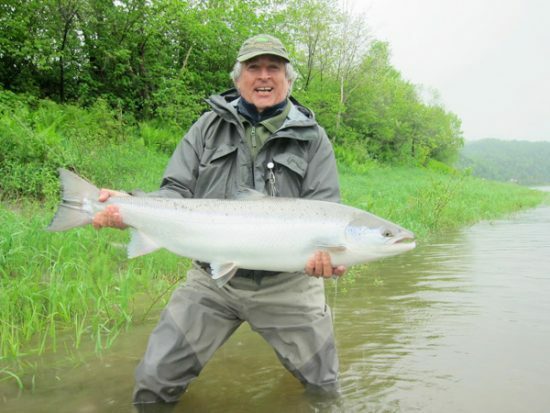 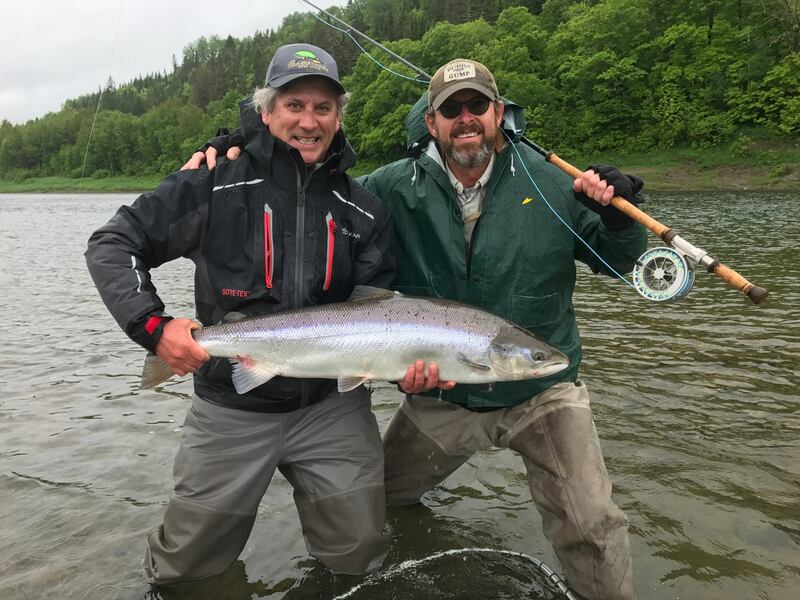 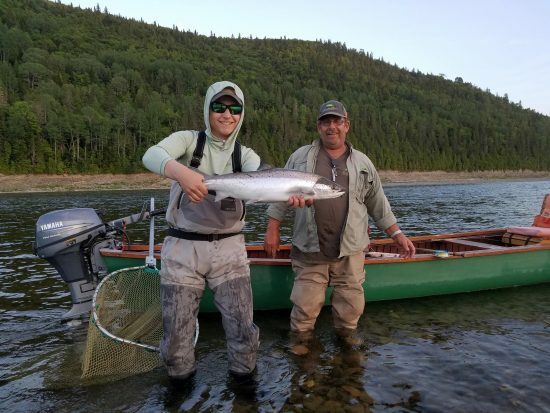 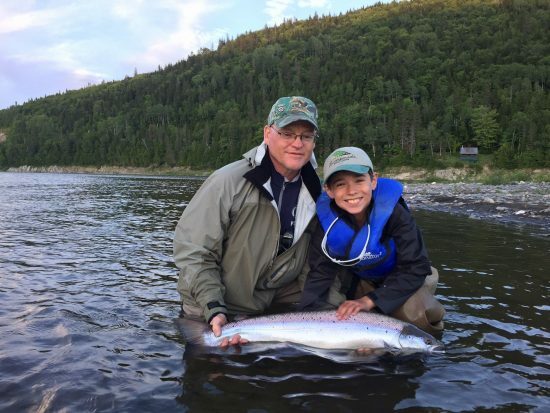 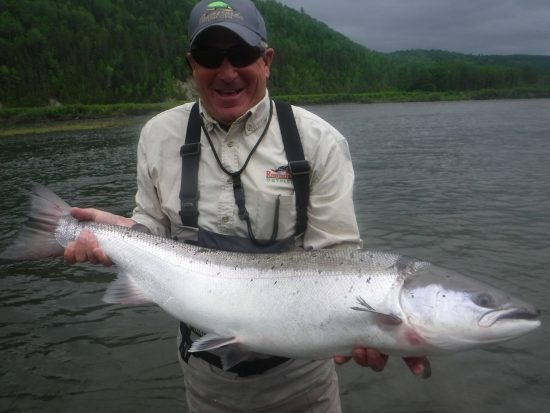 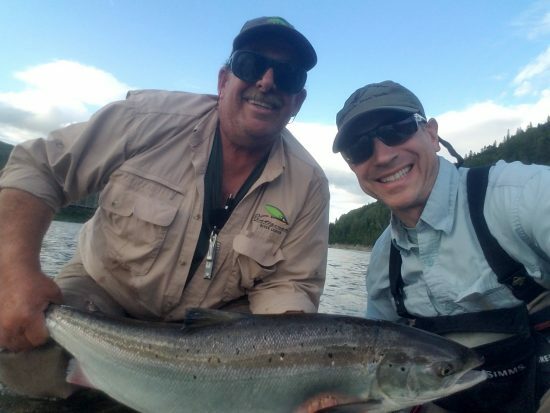 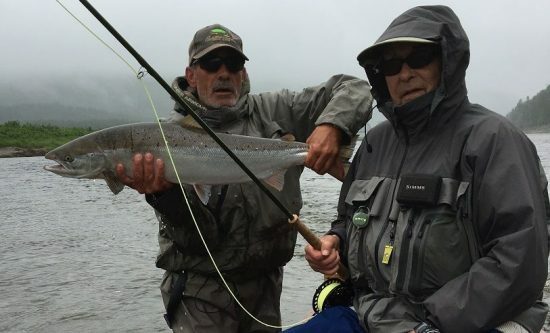 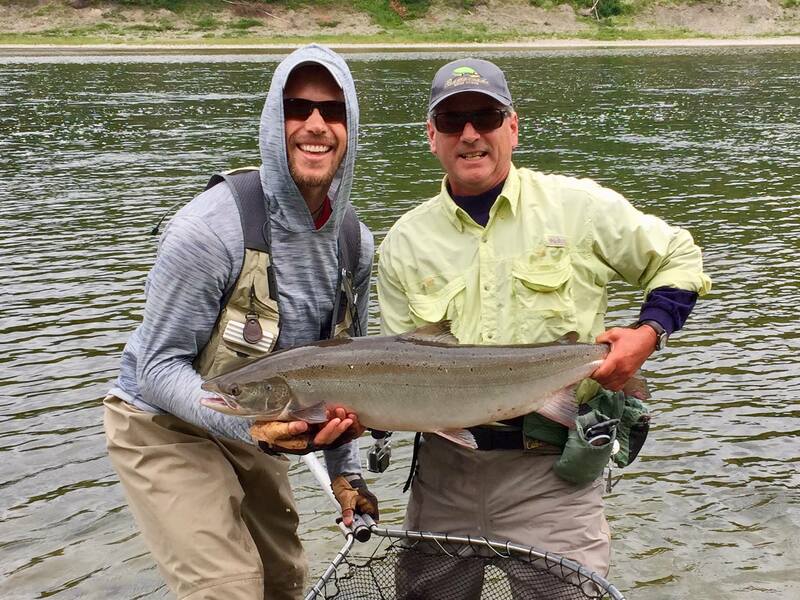 The Restigouche River welcomes RRL guest Karl with his first ever bright Atlantic salmon. Pictured her with his guide Ludger. Karl’s brother Mark also got his first this week way to go men! 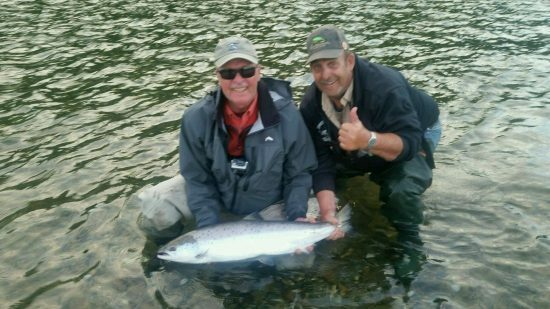 Greg and a 20lb salmon from this morning.